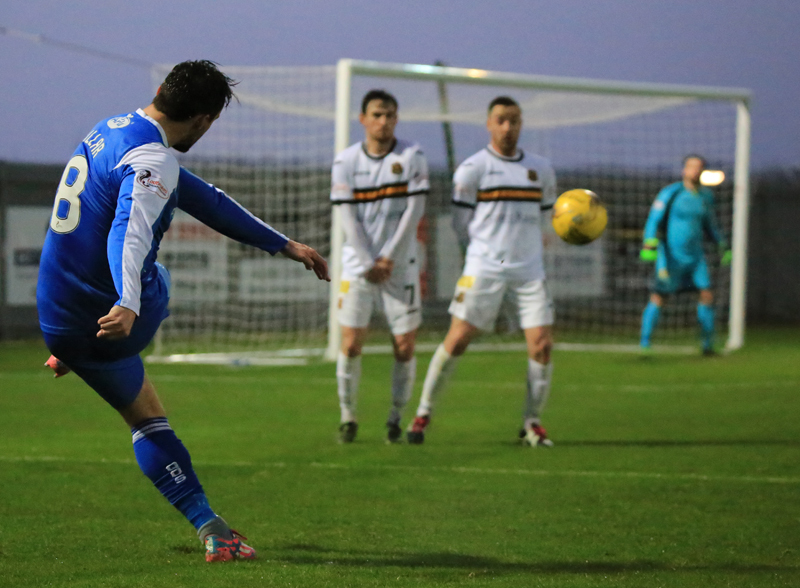 Queens suffered another mid-week defeat after Dumbarton produced an incredible comeback to win 4-2 at The Cheaper Insurance Direct Stadium. 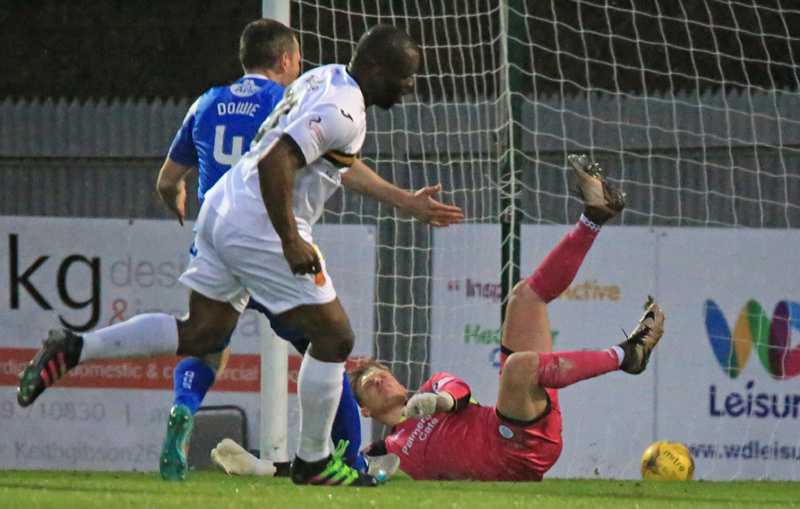 A mistake from Robbie Thomson helped Christian Nade open the scoring early on but ex-Son Iain Russell smashed home an equaliser and Alex Harris gave The Doonhamers the lead before half-time. 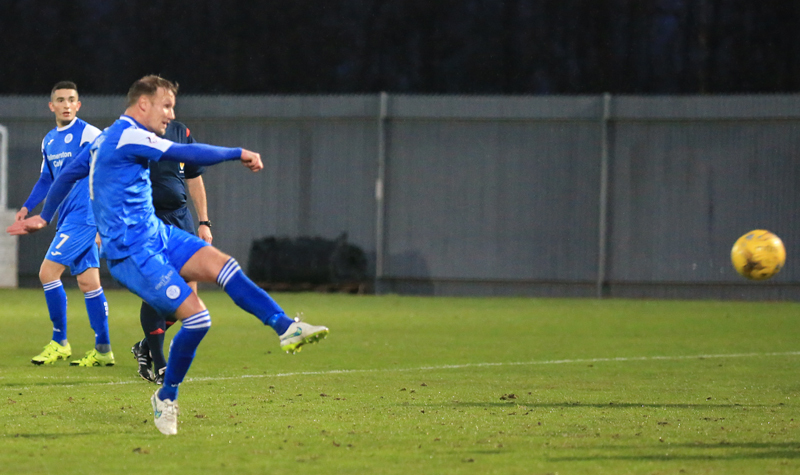 But it was the part-time side who came out fighting after the break with Walsh and Nade scoring in the space of a minute to give the hosts the advantage and a late Gary Fleming penalty sealed all three points. James Fowler made four changes to the side who lost 2-1 to Raith at the weekend. 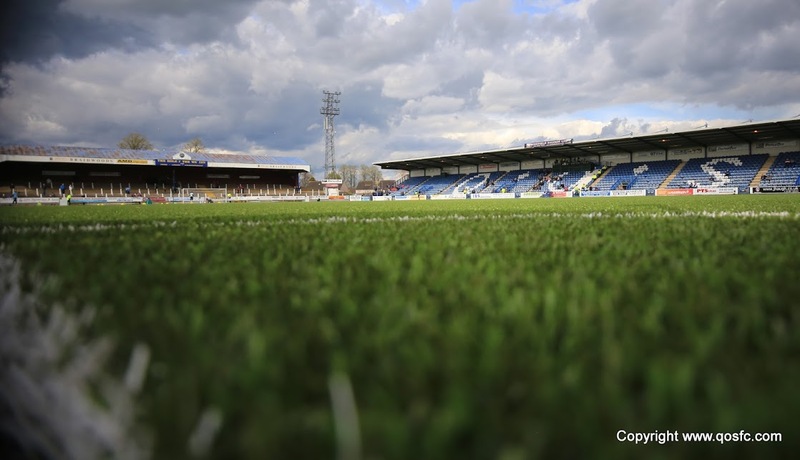 On-loan Alex Harris, Mark Millar, Kyle Jacobs and Jake Pickard returned to the starting eleven replacing Andy Murdoch, Kyle Hutton, Lewis Kidd and Gary Oliver. With the play-offs out of reach, The Doonhamers were playing for pride and to finish in fifth position. 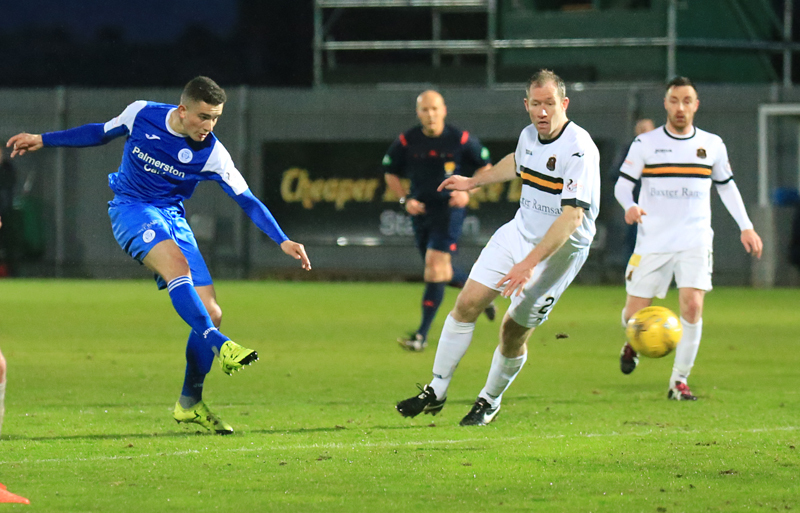 Queens continued in their familiar royal blue kit against a Dumbarton outfit in a relegation play-off dogfight. The hosts had the ball in the back of the net three minutes on the clock but it was chalked off. Mark Docherty swung in a corner-kick and Saunders headed home but referee Stephen Finnie blew his whistle judging the defender fouled Higgins. Frustration turned to joy seconds later for Stevie Aitken`s team as they pounced on an unusual mistake from Robbie Thomson. Thomson scuffed his set-piece straight into the path of Christian Nade, and the striker kept control of the ball and placed his strike into the bottom right-hand corner of the net. With the downpour of rain on The Rock it resulted in poor passes from both teams in the opening stages. Queens had their first chance of the evening in the 10th minute, Millar found Harris on the edge of the box, the winger took a touch to outthink his marker but blasted his shot over the bar. The Doonhamers were beginning to settle into the match and had a great chance to level the match fifteen minutes in. Pickard was fouled just outside the penalty area, Millar stepped up and lined up a fierce shot which caught Jamie Ewings by surprise and could only palm the ball into the direction of Chris Higgins but the captain`s effort didn`t enough power to trouble the goal keeper. The visitors had another chance to equalise two minutes later. Iain Russell played in Hilson to leave him one-on-one with Ewings but the striker`s shot hit the advancing Ewings. It was the hosts turn to have their hands in their heads five minutes later, Gary Fleming found space in the penalty area and his shot was saved by Robbie Thomson, redeeming himself for the earlier mistake. After missing a few chances to score, Queens finally got their reward in the 28th minute. Millar`s free-kick was cleared to Russell on the edge of the box and the winger hit an unstoppable strike into the top right-hand corner of the net to level the match. Queens could have taken the lead four minutes later. Millar linked up Hilson, opening up space for Harris, who got the ball on the edge of the area but he shot drifted wide. Callum Tapping was the first man to go into referee Stephen Finnie`s book after a late challenge in the middle of the park. Higgins soon followed Tapping into the book with the first-half approaching its finale, fouling Fleming just outside the box. Dumbarton`s Kevin Cawley also booked for his troubles for a foul on Russell. With two minutes left of the opening period the visitors took the lead in style. Hilson found Harris and the youngster beat his marker and fired a superb shot from the edge of the box past Ewings. The visitors started the second period in the worst possible way. A slack pass from Chris Higgins was intercepted by Tom Walsh and the midfielder took a touch and curled his effort into the back of the net. It went from bad to worse two minutes later, Walsh fired in a corner and was headed home by Nade at the near post to give Dumbarton the advantage. It was a remarkable start to the second-half by The Sons who continued to look the most likely to score next as Nade headed over from close range in the 52nd minute. Hilson nearly levelled the tie minutes later, the striker turned Saunders and let loose a decent attempt on the edge of the area but Ewings palmed his strike wide. The hosts made the first change of the match with 65 minutes gone, Kevin Cawley replaced by Grant Gallagher and they continued to try and double their advantage through Tom Walsh on 69th minute. The youngster gathered the ball on the left-hand side of the box and unleashed a dangerous effort but Thomson managed to dive down and make a remarkable save. 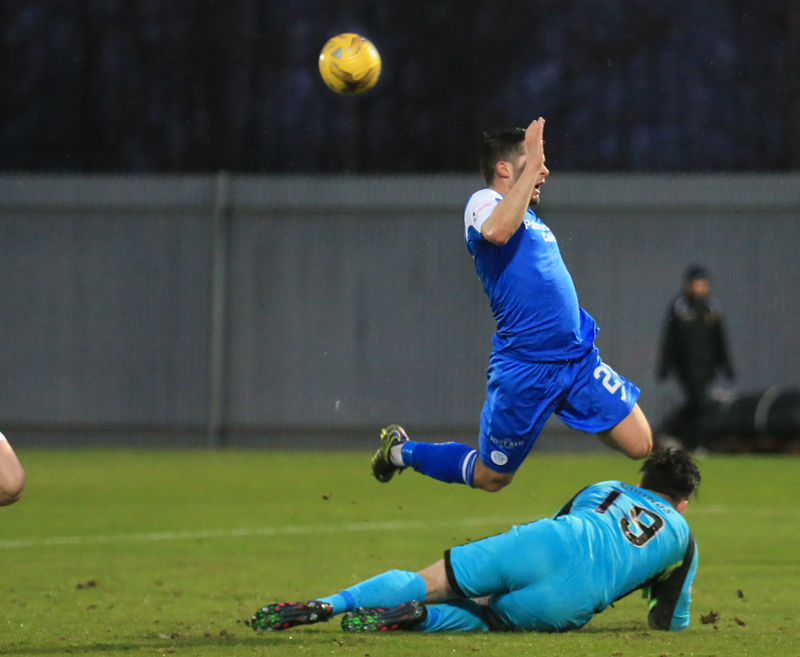 A minute later Thomson was called into action again, Frazer Wright looped a header straight into Thomson`s hands. A flurry of changes late on for Queens seen Gary Oliver and Lewis Kidd on for Kyle Jacobs and Alex Harris. But the substitutions couldn`t help Queens fall further behind. 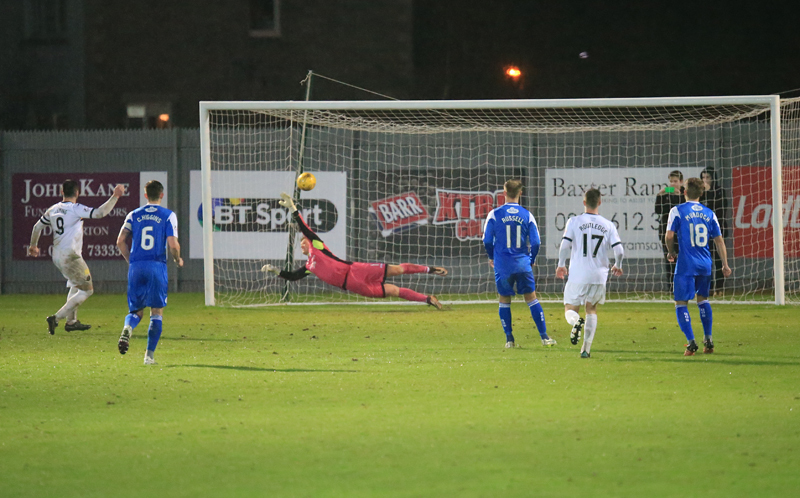 Walsh`s cross was punched clear by Thomson but didn`t get enough power on the ball and fell to Buchanan and was deemed to have been fouled by Andy Dowie by Stephen Finnie, awarding The Sons a penalty kick with four minutes left. It was a soft penalty to concede and the Queens players` argued their case to the referee but to no success. 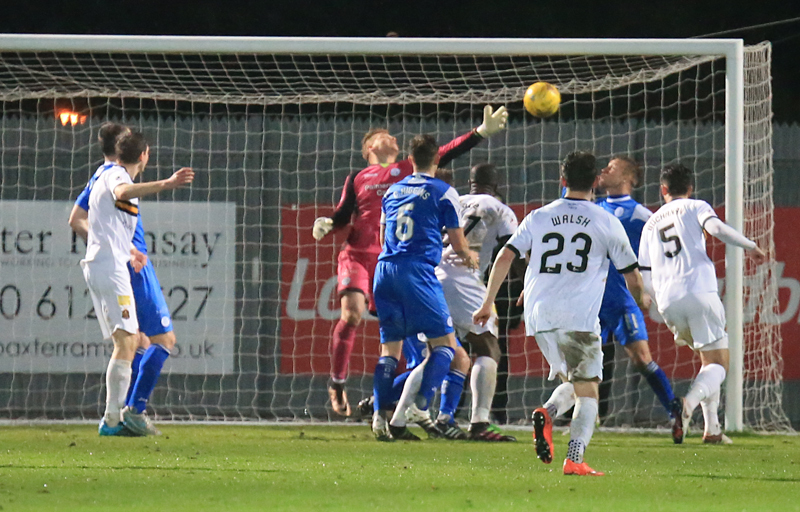 Gary Fleming stepped up and slammed home his tenth goal of the season and wrapped the points up for the home side. Queens had a chance late on to half the deficit but Mark Millar`s long range free-kick was always rising and didn`t concern Ewings. 19:13 Dumbarton; Ewings, Docherty, Saunders, Buchanan, Fleming, Cawley, Routledge, Lindsay, Walsh, Wright, Nade. 19:14 Referee for tonight`s match is Stephen Finnie. 19:27 Hopefully we will be reporting plenty of SHOTS tonight. Will double check every tweet tonight. 4 min Thomson`s poor goal kick is straight into the path of Nade and the striker slams home to make it 1-0. 12 min Millar finds Harris on the edge of the box. Harris takes a touch and blasts his shot over the bar. 16 min Pickard fouled just outside the box. 17 min Millar`s fierce free-kick is spilled by Ewings straight into the path of Higgins but the captain can`t make it count and is saved. 19 min Russell plays in Hilson, one-on-one with Ewings but he blasts the ball straight at the keeper. 28 min Corner is cleared to Russell on the edge of the box and hits an unstoppable strike into the right-hand corner of the net. 38 min Tapping cautioned for a late challenge in the middle of the park. 44 min Harris comes inside and fires his strike past Ewings to make it 2-1 Queens. 48 min A poor pass from Higgins is intercepted by Walsh and the midfielder curls his effort into the back of the net. 52 min Nade heads home a Walsh corner-kick to give the hosts a 3-2 lead.